New Plaza Cinema will kickoff with screenings of "The Catcher Was a Spy" at the Marlene Meyerson JCC Manhattan. Patrons of the former Lincoln Plaza Cinemas have banded together to create a film society, New Plaza Cinema. 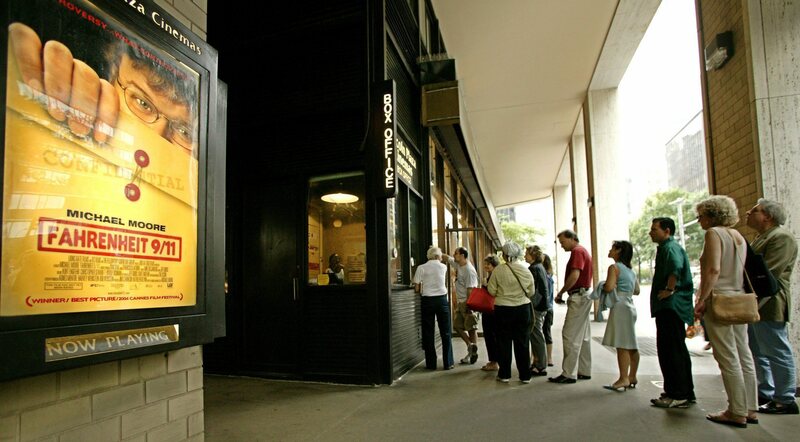 It will present a curated program of independent films at the 250-seat Carole Zabar Center for Film, located at the Marlene Meyerson JCC Manhattan, about 14 blocks northwest of where Lincoln Plaza Cinemas held court from 1981 until January 28 of their year. Although initially planned as a summer program, “We’re working to find a more-permanent venue which will offer first-run and independent films,” said Norma Levy, founder of the Coalition for the New Plaza Cinema; she is now fundraising to help it procure a permanent address. Lincoln Plaza Cinemas co-owner Dan Talbot died less than a month before his venue shuttered, and Levy passed out flyers advertising the New Plaza Cinema at his December 31 memorial service. The New Plaza Cinema mission is, “To create and operate a new cinema devoted to quality independent and foreign films on the Upper West Side of Manhattan.” According to its representatives, the group’s has thousands of advocates who include City Council Member Helen Rosenthal. New Plaza Cinema’s first screening will be “The Catcher Was a Spy” from June 24-26. Directed by Ben Lewin (“The Sessions”), the biopic stars Paul Rudd as ex-MLB player Moe Berg, and debuted in the Sundance’s 2018 Premieres section. IFC Films distributes the film nationwide June 22. “Despite the huge demand we have on our space for all the programs we run in the building, our administration and fellow programmers were happy to support this endeavor and offer any free time in the auditorium for these screenings,” said Isaac Zablocki, senior director of the JCC’s film center. New Plaza Cinema’s second showpiece will be a marathon of films adapted from Philip Roth novels. An Upper West Side resident, the Pulitzer-winner died May 22, at age 85.